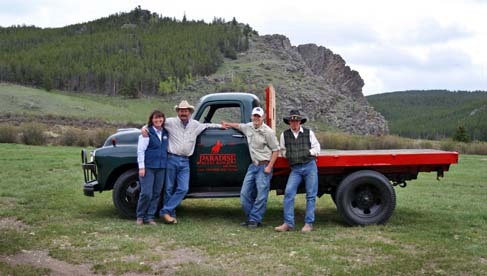 Paradise Ranch has been known as the Jewel of the Bighorns since 1907. 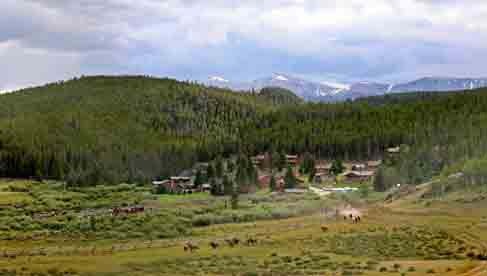 For 100 years now, folks have been coming to this Wyoming guest ranch for 100 different reasons—for some, it’s the horseback riding across sage meadows, fishing for native cutthroat trout, or hiking among wildflowers and meadowlarks. For others, it’s the family time, the fun, and campfire stories beneath a snowstorm of stars. 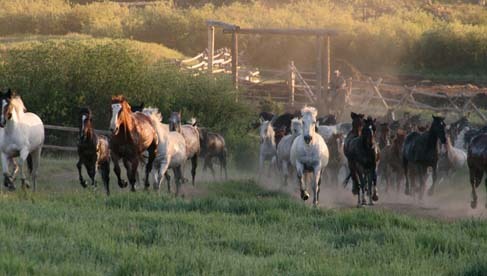 Maybe it’s realizing just how much all that’s worth, that keeps folks coming back to this guest ranch year after year. Luxury log cabins with private baths, spacious living rooms, fireplaces and outdoor decks. Paradise Guest Ranch has a strong, flexible horseback riding program featuring team penning, instruction, clinics & yes, loping! 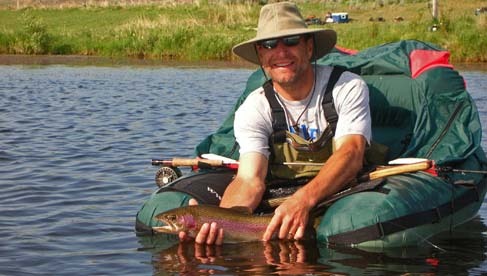 Blue ribbon flyfishing with instruction and guided fishing trips. Top rated kid’s program with full time counselors, fishing day, pony rides, talent night and kid’s rodeo. 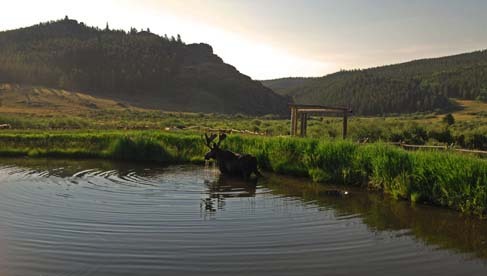 At the end of the day on your dude ranch vacation relax in the outdoor pool or hot tub. 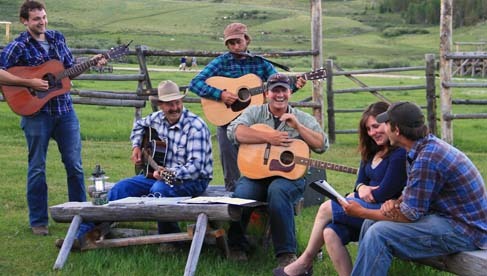 Nightly activities in the French Creek Saloon including square dance, sing-a-long and live music. Massage available. 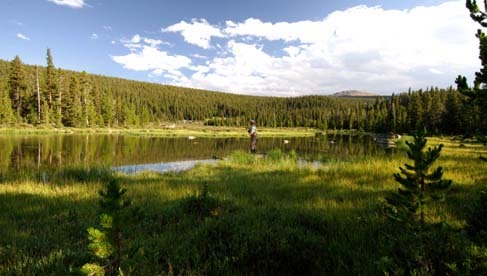 Ask about our multi-day pack trips to our fully equipped camp near the Cloud Peak Wilderness. 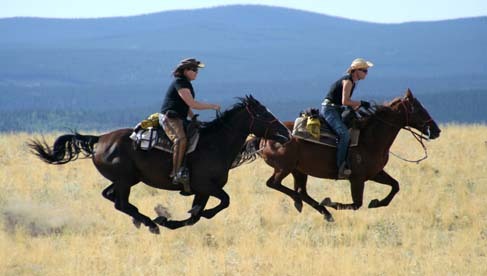 The Paradise Guest Ranch horseback riding program is second to none. 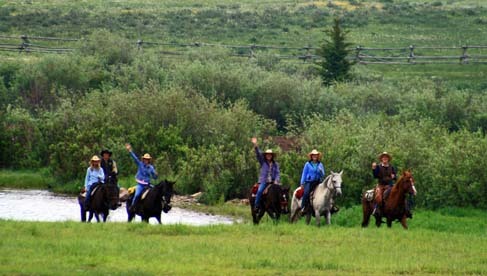 Each guest is custom fit with the horse that perfectly matches their riding ability for this Wyoming ranch vacation. 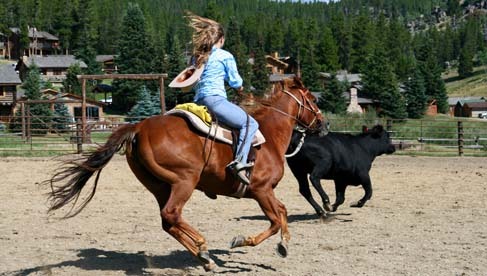 This riding program is very flexible, and features a number of choices. 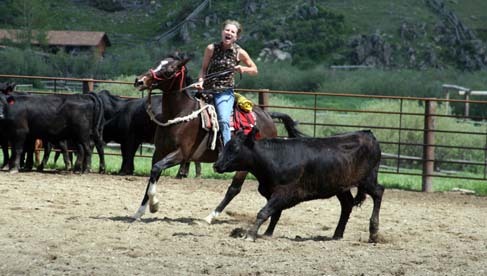 Paradise Ranch offers two hour rides as well as both half-day and full-day rides. Some day rides include lunches packed on mules & cooked along the trail. Horsemanship classes are available. 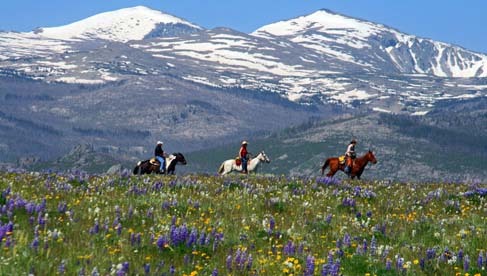 Hook up with one of the seasoned wranglers and spend a morning or an afternoon riding through the wildflower strewn mountain meadows in the surrounding Bighorn National Forest. You’ll ride trails through mountain scenery that will take your breath away. Or spend an afternoon in our private rodeo arena practicing team penning, in which teams of three riders separate three steers from a larger group and work them around the arena and into a pen on the other end of the arena. This is a timed event and competitive and fun for all. Special team penning classes are available. 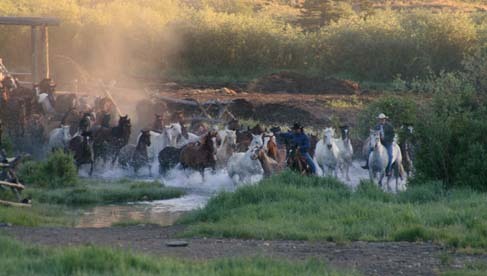 If you get up early enough, you’ll see the ranch horses wrangled down from the high alpine meadows with thundering hooves and steaming nostrils to our ranch corrals. Paradise Ranch is a proudly Horse Safety Certified. If you are looking for real western wilderness adventure, this is it! You'll start out with a hearty Paradise Guest Ranch breakfast in our dining room. Then it's off to the ranch packer's shed for departure. The ride into camp is one of the most magnificent trips you will ever take, with the Cloud Peak Wilderness as your backdrop. 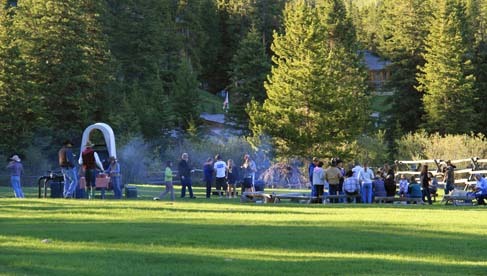 You'll enjoy a picnic lunch with a view of 13,000 foot Cloud Peak, Bomber Mountain and Black Tooth, then it's on to camp at Frying Pan Lake. 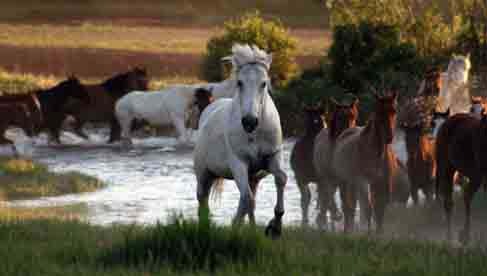 For more information on horse pack trips visit the Paradise Ranch website. 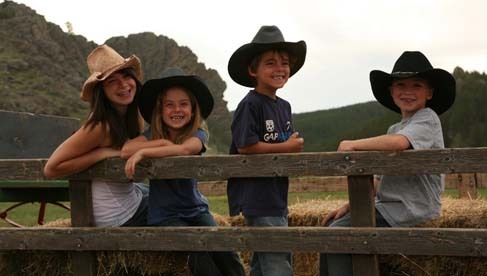 Paradise Ranch has a way of reconnecting kids with animals and the outdoors, making this a great Wyoming family vacation. This award winning kids program exposes children to the natural world but it also offers parents a chance to enjoy their own pursuits or spend time with their children having the knowledge and piece of mind that the whole family is being well taken care of. Arts and crafts, pony rides, talent show, kid's fishing derby, kid's rodeo and even overnight pack trips are just some of our kid's activities offered through the program. The program is all about FUN, honest to goodness brand, and flexibility. It is designed so parents can pick and choose time spent as a family and time spent in individual pursuits. The program takes all ages from enfants through teens. The Kid's Program counselors are ready to take your children through a week of activities that they will remember for a lifetime. The Adults Only Weeks are a special time of our season when all the kids have gone back to school and the pace is more relaxed at Paradise. Because there are fewer guests on the ranch during this time, Paradise Ranch can offer more flexibility in the riding program. Blue skies, cool temperatures, beautiful Fall colors, and no children make these weeks very popular with adults. Be sure to check out the Hiking Program and Fishing Program, not to be missed! Paradise Ranch has 18 comfortable log cabins with western art work, fireplaces, washer/dryers and outdoor decks with magnificent views. These rustically elegant log cabins are available with one, two, three, and four bedrooms. You will be comfortable in these beautifully appointed cabins -- complete with cozy fireplaces and modern conveniences -- a welcome retreat after a full day of fun. Of course, they’re perfect for just hanging out, too! All of the cabins have been recently renovated or newly built, and feature full baths, showers, kitchenettes, washers and dryers and unique western art. Each has an outdoor deck where you can relax and read, soak up the excitement of a ranch day, or enjoy the splendor of the evening while the shadows of the sunset dance up Fan Rock. Experience this hearty western cuisine with a gourmet flair. 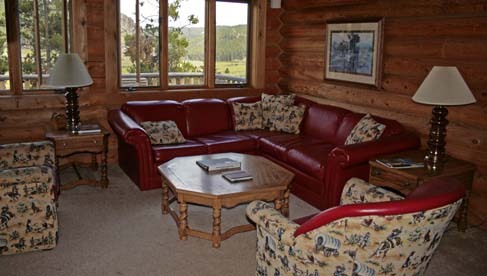 The Paradise Ranch has a spacious dining hall that rests in the center of the ranch. Here you will enjoy three hearty meals a day with a gourmet flair. Just like dinnertime at the old ranch house, meals are a great time to catch up on upcoming activities and announcements at the ranch. Choose from a unique array of wines and pair your selection with dinner on Gourmet Night. 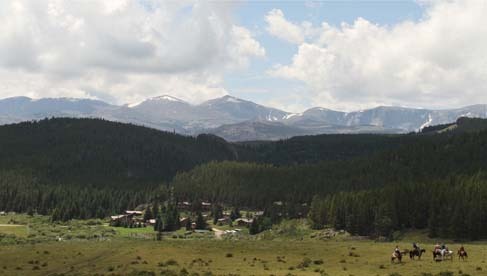 Along with all the incredible beauty of The Bighorn Mountains , French Creek Saloon is available to you as a comfortable place to relax in the evening, enjoy a liquid treat, interact with ranch crew and guests and participate in evening activities. Your bartender knows plenty of stories to tell during your week of adventures here and you're all welcome to belly up and enjoy each others company and tales while the cocktails are served. In addtion to a wide array of domestic and imported beers, mixed drinks, and fine liquors, we serve wines by the glass as well as a fine selection of domestic and imported wines. Your bartender will happily recommend a bottle that pairs well with the evenings dinner. You don't have to be a connoisseur to enjoy our store of wines so please don't be afraid to ask for our wine list and try a couple wines during your stay with us. The French Creek Saloon features five local legends throughout the week with corresponding beverages. Come see pictures and read a thimble-sized history of Annie Oakley, Butch Cassidy, The Sundance Kid, Calamity Jane and Nate Champion, our local hero and Clay's favorite! Non-Alcohol: For kids, underage adults, and anyone avoiding alcohol our bartender offers sodas, juices, non-alcoholic beer and non-alcoholic white zinfandel. Enjoy a Roy Rogers or Shirley Temple any time! 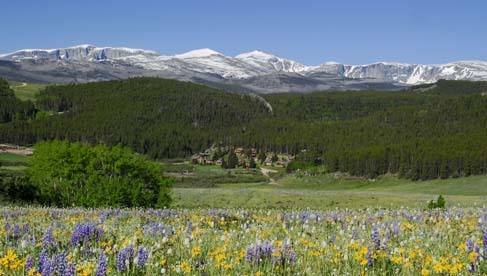 The Bighorn mountains, Buffalo Golf Course (4 star rated), plentiful wildlife, Johnson County Cattle War Site, Fetterman Massacre Site, Near Custer Battlefield Site, Near Hole in the Wall and Outlaw Cave. Full of natural wonders like Old Faithful, breathtaking views, and beautiful wildlife; Yellowstone National Park is a perfect addition to any Wyoming experience. 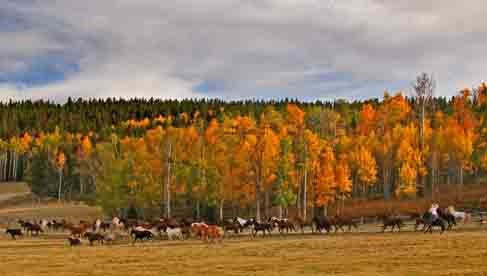 Just a short 3 hour trip, many of the Paradise Ranch guests combine their Paradise Ranch stay with a Yellowstone vacation. Just a little ways from Paradise Ranch is the Buffalo Golf Club, one of the best courses in Wyoming. The course offers a great challenge to everyone. One of the features is the par-three fourth hole with nearly a 90-foot drop to the green. About a two and a half hour trip from the ranch, many of the Paradise Ranch guests schedule this before or after their Ranch stay. This Native American owned & operated service provides white water rafting excursions and guided trophy fishing in central Wyoming. Wind River Canyon runs through the Wind River Indian Reservation and the Shoshone National Forest. This museum is dedicated to following the late Jim Gatchell's vision of preserving the history of Johnson County, Wyoming, with emphasis on its Frontier Era, through the collection and conservation of related art, archives and artifacts. Hot Mineral Pools - The World's Largest Mineral Hot Springs are open year round, including holidays. You can swim, slide, or just relax and soak in the water from the State Park's Big Spring. The State Bath House - In 1896 a treaty was signed with the Shoshone and Arapaho, which gave the public use of one of the largest mineral hot springs in the world. The hot springs was known as having "healing water". There is no fee for using the State Bath House. Cash, check, and credit cards are accepted. Average package is $1800 a week all inclusive.